Karaite scholar; lived at Constantinople in the first half of the sixteenth century. 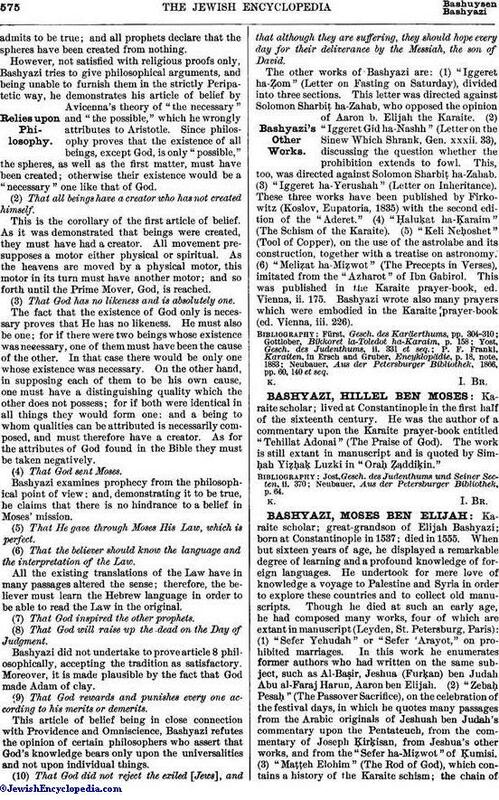 He was the author of a commentary upon the Karaite prayer-book entitled "Tehillat Adonai" (The Praise of God). The work is still extant in manuscript and is quoted by Simḥah Yiẓḥaḳ Luzki in "Oraḥ Ẓaddiḳin." Neubauer, Aus der Petersburger Bibliothek, p. 64.